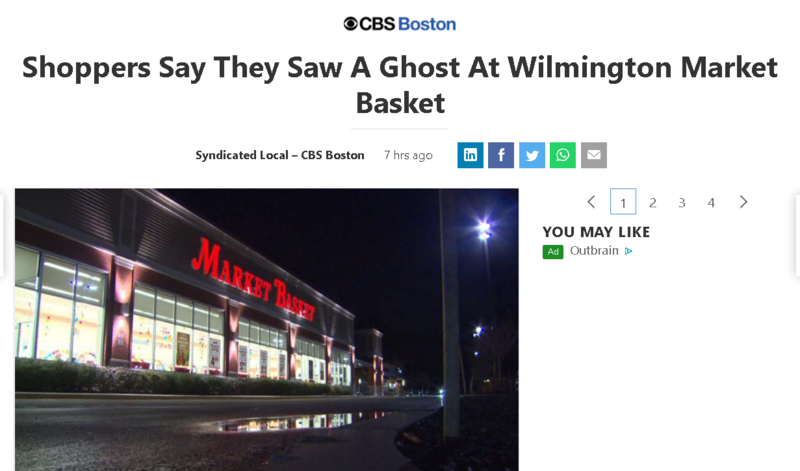 A curious news article cropped up from CBS Boston (HERE, via MSN of all things), where shoppers at a grocery store have reported a Victorian-era spook roaming the aisles. While the store has capitalized on the social media chatter, it does appear that some people really think the place is haunted. Sounds kinda far-fetched to me, but without any photos or anything to go on it could be anything. What do you all think? It does seem pretty strange.